The report in January mentioned harvest of Blanc de Blancs, Semillon and Verdelho. The Blanc de Blancs, Benjamin Semillon, Jessica Verdelho, Stephanie Pinot Gris, and Veronica Rose were bottled in April, and look to be a step up on what we have produced before. Watch for results of the first wine shows in June. As an eternal optimist, I am sticking my neck out for a few gold medals. What have we got in so far? Gartelmann Sarah Elizabeth Chardonnay: This wine from Orange had nearly identical analysis figures to the 2016 vintage, so we can expect a very similar wine. But there is a trend that the 2017 vintage has produced better wines than the 2016, and we could be in for a nice surprise. Gartelmann Lisa Chardonnay: This is our first ‘Super’ chardonnay, to be released next year as part of our Gartelmann Reserve range. We had to find a new name. Lisa was my favourite aunt, much loved, and a stunning person. Have a look 'The Family' on our web page. The fruit comes from a vineyard at 910m elevation, hand picked, fruit intake shows intense flavours and a great well balanced acid. This wine will be subject to a whole range of processing options, including malolactic fermentation to make a completely new style of wine for Gartelmann. The first tasting was stunning. Gartelmann Diedrich Shiraz: The planned Orange Shiraz succumbed to difficult conditions and rain in the Orange region, and could not be picked. We got a surprise with the quality of a parcel from a new vineyard in Pokolbin harvested 14 February, intended for the Wilhelm shiraz, and this has become the 2017 Gartelmann Diedrich shiraz. We are quite excited to be able to move our icon shiraz back to the Hunter valley. Gartelmann Jesse Shiraz: After a warmer and drier January and February, things looked pretty good, with a dry and milder part earlier in March. We harvetsted on 13 March, and had outstanding results, with good sugar levels, and also outstanding pH and Total Acid. The analysis shows that the wine is on a par with the highly awarded 2014 and 2015 Jesse Shiraz. Gartelmann Georg Petit Verdot: We have decided to name this wine after my maternal grandfather Georg Meyer. My name JORG is a derivative of the german Georg. He was a very successful fighter pilot in the first world war, finishing up as Germany’s No.10 air ace. A bit of a wild lad, and we heard fabulous stories about him. Have a look at the 'The Family' page and scroll down until you find Georg. Despite the adverse conditions in the Central Ranges, this wine from Rylstone came in on 30 March with ripeness above the higly awarded 2015 Petit Verdot. Good news! Gartelmann Jonathan Cabernet Sauvignon: There won’t be any from the 2017 Vintage. The Cabernet from our favourite vineyard succumbed to rain & more rain in the central ranges, and we decided not to make a wine if we could not maintain the quality we aimed for. Gartelmann Phillip Alexander Cabernet Merlot: The Merlot component was harvested on 30 March, and finished up with a lovely rich 14.75% alcohol, and great flavours. We are still looking at options for the Cabenet component. For club members lucky enough to score a booking at the 2017 Barrel tasting to be held in November, you will be able to judge for yourself. It is that time of the year again, the first part of harvest is complete, however there is still a lot to come; So you are asking yourselves: it has been terribly hot weather, what does it look like for Gartelmann Wines for the 2017 Vintage? 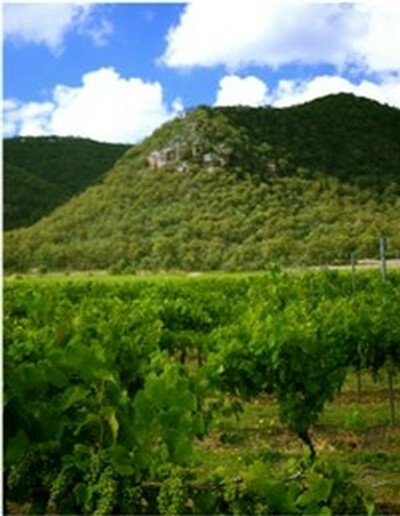 The wines that have come in are all from the Hunter Valley. But the weather was not all bad. In Pokolbin and Denman there was only 1 day over 35 degrees in November with the maximum temperature 3 degrees over the 45 year average, In December similar but 3 non consecutive days over 35 degrees, and more, but mostly non-consecutive hot days. Sparkling white base for our 2017 Blanc de Blancs. Harvested early morning on 13 January, it copped 3 consecutive hot days, but had a cooler day to recover before harvest. The fruit analysis figures show a slight difference to the very good 2016. Higher Baume (Baume is a measurement of the concentration of sugars in grapes) to give more fruit intensity, marginally lower pH, which we want for taste, and slightly higher Total Acid. All this indicates that we can make a zestier but more delicate wine with lower residual sugar than the 2016 – that is our aim. Gartelmann Benjamin Semillon: Harvested early morning Monday 23 January, it copped 2 more consecutive hot days, but had 4 cool days to recover before harvest. The fruit analysis figures show a slight difference to the very good 2014 and 2016 Vintage. Slightly lower Baume to better retain the Semillon citrus & lime characteristic, marginally lower pH, which we want for taste, and slightly higher Total Acid. All this indicates that we will achieve our aim of pleasing our existing followers but also attracting new Semillon lovers. Gartelmann Jessica Verdelho: The sugar level is identical to the 2016 vintage, and slightly lower acids, which can be adjusted. Two hot days before picking would have lowered the sugar levels, but not the flavours, so the expectation is to make a very similar wine to the 2016 at lower residual sugar because of more intense flavours. WHAT IS COMING IN FEBRUARY? The other 6 wines all look on course for March. With many of the 2017 vintage white varieties now safely in the winery, Hunter Valley’s Gartelmann Wines has released two wines from their family inspired range of wines; the 2015 Gartelmann ‘Sarah Elizabeth’ Chardonnay (92/100 Halliday) and 2016 Gartelmann ‘Jessica’ Verdelho. The new wines, made by Hunter Valley winemaker Liz Jackson, are named in honour of owner Jan Gartelmann’s mother Jessica and daughter Sarah. As a family owned and operated business we take great pride in having our family front and centre on our wines. 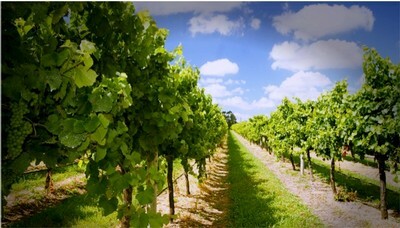 These two wines are quintessential Hunter Valley varieties. The two new vintages are from very different vintages. 2015 was almost perfect, with good rain at the right time. 2016 on the other hand was undoubtedly very difficult. The forecast was good, but 90 mm of rain prior to Christmas was only the prequel to the down pouring of 220 mm in early January. Surprisingly, with the clay soils and slopes of the Verdelho vineyard, the water simply ran off and our 2016 Verdelho is better than the previous year. The 2015 Gartelmann ‘Sarah Elizabeth’ Chardonnay was made from 18 year-old vines located in the Upper Hunter Valley region. We are aiming for a richer style with attractive oak balance,” explained Jorg. “We matured 60 per cent of the wine for nine months in a combination of new and one-year-old French oak puncheons and hogsheads. The remaining component was matured in older oak to ensure that oak to fruit balance. Monthly lees stirring and inhibiting malolactic fermentation preserved the fruit freshness whilst building palate texture and structure.